Now that Halloween is in the books for another year, I am pretty excited that Christmas will be here soon. It is my most favorite time of the year. 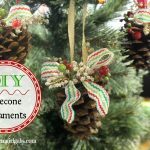 I have been crafting away behind the scenes so I can share with you some fun holiday craft ideas to make the season holly jolly. It’s not Christmas in my house without a little Disney magic to brighten your holiday decor. As you know, I am obsessed with Disney. I also have high hopes of being a Disney princess one day. Never stop dreaming, right. These Disney Princess Glitter Ornaments are a fun way to create some Disney Princess magic for your Christmas tree. Ever since I was a young girl, I have loved to craft with glitter. Back then, it was a simple outline your name in glue and dust with glitter type of project. I have been known to get glitter EVERYWHERE! Just ask my mom. My love for glittery things continues. 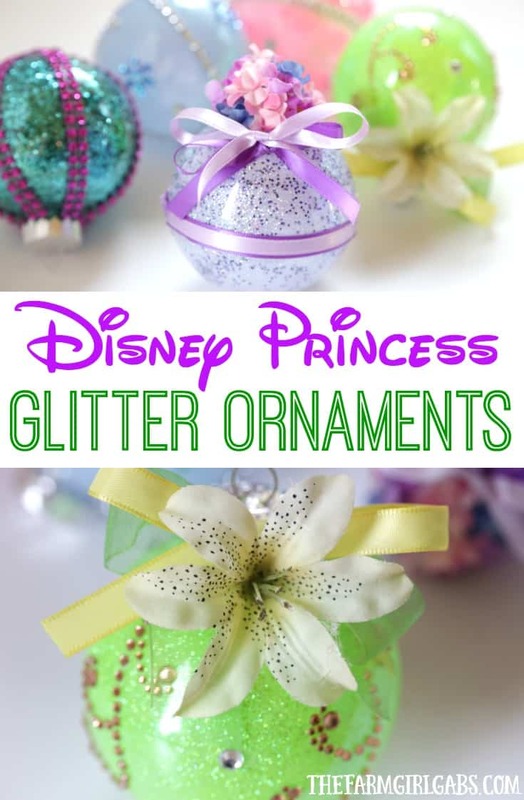 These Disney Princess Glitter Ornaments are so fun to make. I even managed to keep the glitter contained to my workspace (and the ornaments too, of course). Let me first start off by saying Glitter It! is the best ornament glitter glue….ever. This product rocks! Pour a small amount to the glue into the clear ornament. Slowly swirl around to coat the inside of the ball. Go slow because if you swirl too fast, bubbles may form and will mess up your glitter. Pour glue out of ornament in the bottle or another ornament. 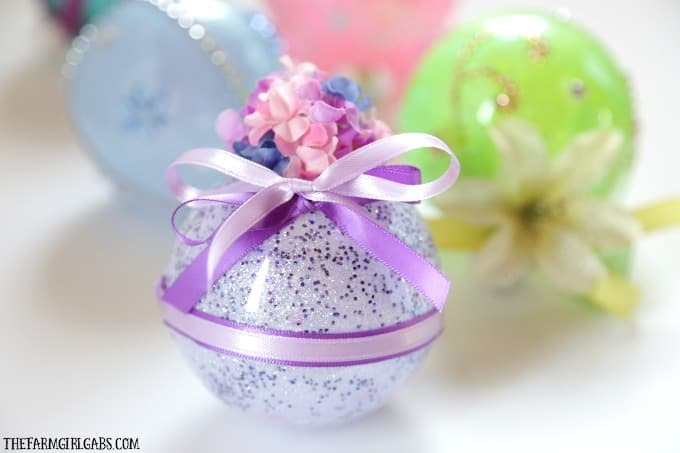 Pour glitter into the ornament and swirl to coat. Once you are done glittering, replace the cap. Now let’s have some fun embellishing. For this Rapunzel ornament, I mixed extra fine lavender glitter and a coarse purple glitter to give the ornament a two-tone look like her gown. I glued some pretty flowers at the top because Rapunzel always has flowers in her long braid. Cinderella is my original favorite princess. As a child, I would dream of wearing her gown and glass slippers. I embellished this ornament with rhinestones that come in a strip. So it is so easy to adhere them to the ornament. “Look at this stuff, isn’t it neat.” Ariel ‘s ornament is coated with a coarse teal glitter resemble her scales. I then added a few strips of magenta rhinestones. I added a pretty cream flower to this Tiana ornament to match the one on the front of her gown. The yellow and light green ribbon add the perfect finishing touch. You can’t go wrong with a classic pink Sleeping Beauty ornament. Pink rhinestone flowers look beautiful on this ornament. Now the only thing left to do is to get our tree up so I can hang these beauties! I absolutely love these Disney Princess ornaments. I can’t wait to make them with my daughter. 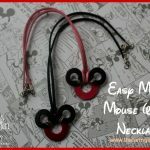 We are huge Disney fans, and these will look great on our tree!